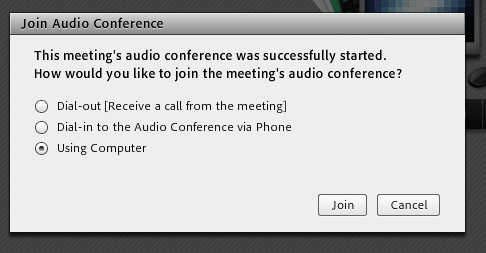 Adobe Connect is Northwestern University’s web conferencing software. In distance learning courses, Adobe Connect is used to host course meetings where students and faculty are online at the same time. 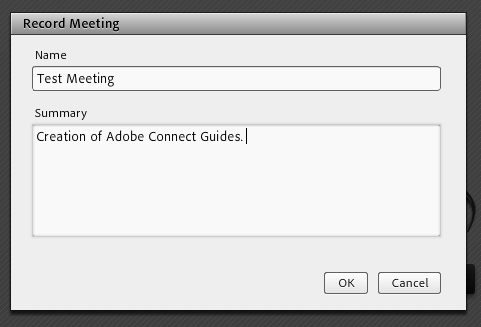 Note that all faculty are required to host at least one Adobe Connect meeting. It is recommended that this meeting be in the first week of the course. Most faculty host between one and three meetings using Adobe Connect, though some choose to host more. Sync Sessions must be held on the day of the week and time listed in CAESAR and the SPS Web site. Attendance at sync sessions is never mandatory for students, and cannot be graded. All sessions need to be recorded and posted in the Canvas course site for students who could not attend the session to view. Below is a list of skills that you’ll need to successfully conduct an Adobe Connect sync session. Please go through the checklist and ensure that you know how to perform each task. If there is something on the list that you don’t know about or need a refresher, you can find more information below the list. Below is a list of more advanced skills that you can use to engage with your students in Adobe Connect. If you are interested in learning any of these skills, please contact spsconnect@northwestern.edu. From Canvas: Click on the link in the left-hand navigation menu. 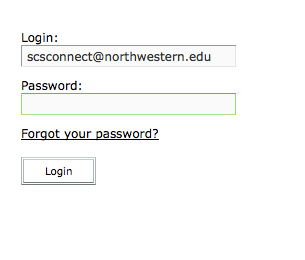 Enter your Northwestern e-mail address (as your login) and your password. 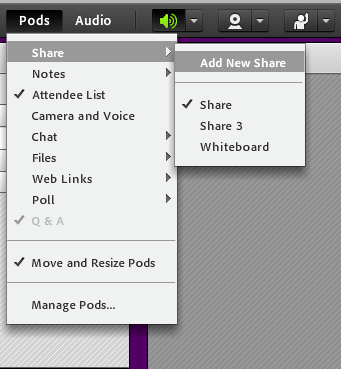 Follow the linked instructions to add your meeting room link to the left-hand navigation menu. And follow these instructions to edit an existing link in your Canvas course menu. From a Web browser: Navigate to http://nwuniversity.adobeconnect.com. Enter your Northwestern e-mail address (as your login) and your password. Click on the “Meetings” item in the gray menu bar at the top of the screen. Click on the meeting title you wish to attend from the list of meetings. Click on the URL (http://nwuniversity.adobeconnect.com/….) listed to open the meeting room. Navigate to http://nwuniversity.adobeconnect.com and click the “Forgot your password?” link. A link to reset your password will be e-mailed to you. If you don’t receive the link, make sure to check your Spam or Bulk Mail box. You can also e-mail spsconnect@northwestern.edu or call 312-503-3333 and select option 4. We will send you a link to reset your password. Note that email and calls received will be processed during normal business hours. Your students will receive their log-in name and password via e-mail. They should receive this information around the time that course sites open (2 weeks prior to the official start of the course), but may receive it later depending on when they register for the course. Student log-in is their NU e-mail address, and password is the term and year of the course (ex. “Spring2015”). That the sync session is not mandatory and will be recorded for later viewing if they cannot attend. How to log in as a guest to the session if their password doesn’t work. 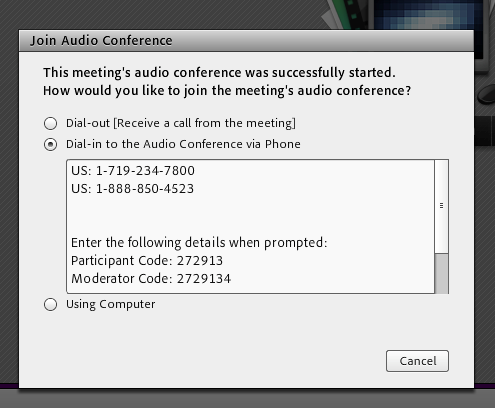 Each Adobe Connect meeting room is equipped with integrated VoIP and teleconference audio. We recommend allowing students to use either VoIP or teleconference, but what type of audio you use is your decision so long as the audio is clear to all students and on the recording. 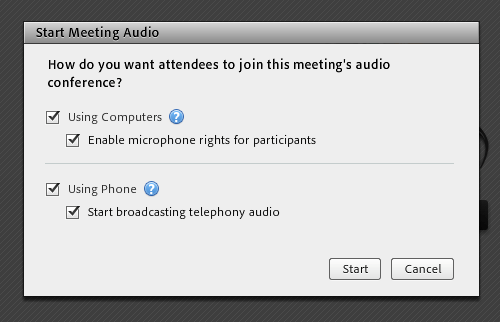 From inside your Adobe Connect meeting room, select the Meeting menu on the top left side of the screen and then select “Record Meeting.” Give the meeting a descriptive name including the term and section number (ex. Syllabus Overview, Winter 2015 – Section 57). Click OK. A red dot will appear in the upper right area of Adobe Connect to let you and students know the meeting is being recorded. We suggest you engage students to help you remember to record your session by letting them know to look for the red dot and remind you to start the recording if they do not see it. 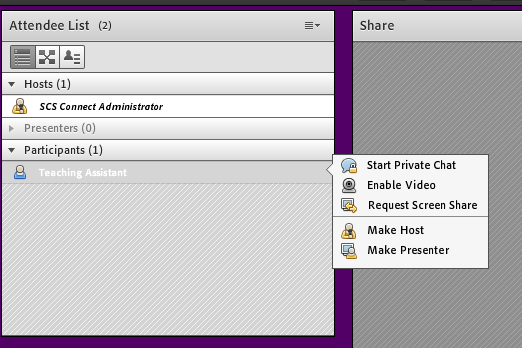 To access the recording of your meeting, select “Manage Meeting Information” from the Meeting menu. This will open a new web browser window. On this window, select “Recordings.” In the list that appears, click on the title of your recording, then copy the URL next to “URL for Viewing.” You can send this URL to students via announcement, or post anywhere else in your Canvas site, as long as you alert students to where you’ve posted it. If you don’t already see a large, gray box with a screen, filmstrip, and music note graphic in the middle, select the Pods menu on the top left side of the screen. Then select “Share” and then “Add new Share.” Under the graphic in the middle of the gray box, select the downward arrow, then select “Share Document” from the pull-down menu. Click “Browse My Computer” and select the document you wish to share from your computer. 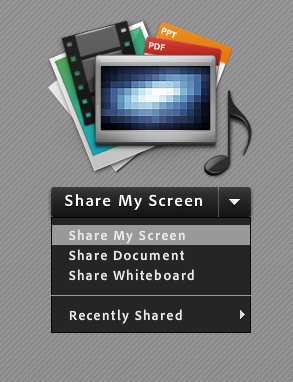 Desktop: Shares your entire desktop. If you choose this option, make sure you turn off your e-mail notifications or instant messaging service. Student will be able to see all items appearing on your desktop. Applications: Shares all of the windows in one application, such as your internet browser or Microsoft Word. You will need to have the application you wish to share already running so it can be selected from the menu. Windows: Shares only the window you select. 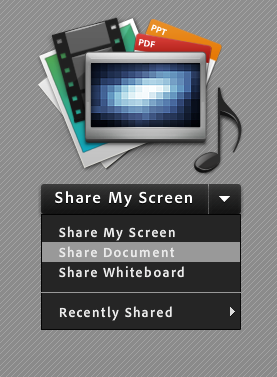 You will need to have the window you wish to share available and minimized so it can be selected from the menu. To make your TA a host of one meeting, hover your cursor over their name in the Attendee List at the top left of the meeting room and select “Make Host.” This will make the TA a host in the current meeting only, and you will need to make them a host again in subsequent meetings. Meeting hosts are able to edit the meeting, control the meeting audio, control any shared documents, and add or delete pods. 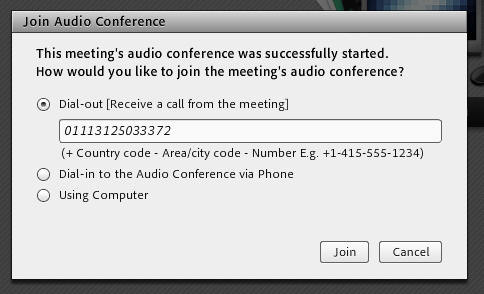 Students and TAs are automatically logged into the meeting as participants, which allows them to view shared documents and participate in the chat and audio conference. To request permanent host access for your TA during the term, which allows them to start and run the meeting on their own, e-mail spsconnect@northwestern.edu. 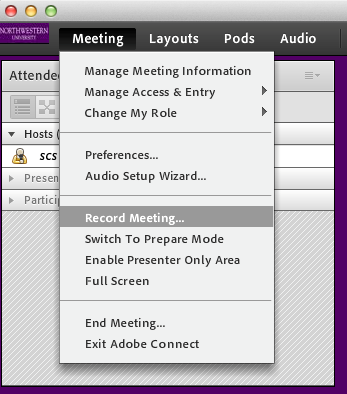 If any of your students are experiencing difficulty hearing or speaking in the meeting, instruct them to go to the Meeting menu at the top left of the screen and select “Audio Setup Wizard.” They should follow the instructions on the Wizard. If you decide to use a headset and VoIP for your audio, please run “Audio Setup Wizard” as well. If you are experiencing audio feedback or background noise in the meeting, please instruct your students to mute their microphones or telephones when they are not speaking. While connected to the teleconference, students can mute their telephones by dialing *6 or using the mute button on the phone.